Occupational therapy enables people of all ages to live life to the fullest by helping them develop or relearn the skills of daily living after an illness, injury or other condition. Occupational therapists help people perform tasks such as eating, dressing, playing or socializing. In the OT program at UNH, you’ll learn to address the physical, psychological and social needs of clients, concentrating on what’s important to them to rebuild their health, independence and self-esteem. The UNH combined BS/MS program allows you to complete a bachelor’s degree and smoothly transition with advanced standing into the master’s degree program in occupational therapy. 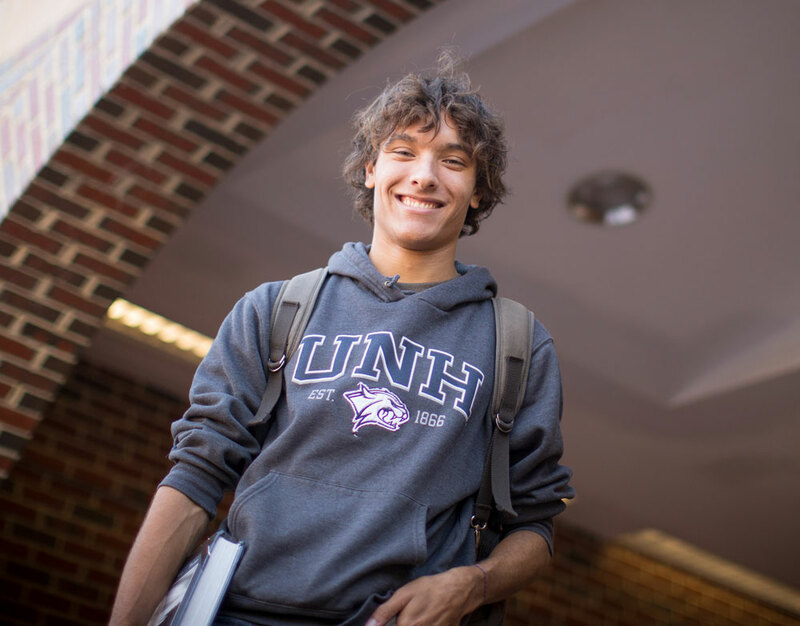 Why study occupational therapy at UNH? 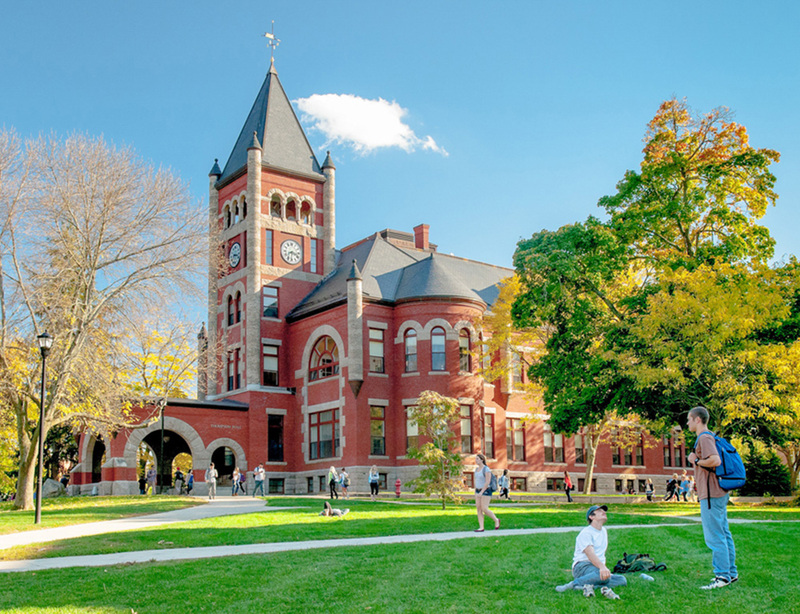 Challenging and rewarding fieldwork experiences in the occupational therapy program at UNH will prepare you for work in an array of settings – and our program maintains fieldwork agreements with more than 600 sites nationwide. All of our students intern in community programs in the New Hampshire Seacoast region, actively applying their knowledge and skills as part of academic coursework. The Student Occupational Therapy Association on campus also provides educational, service and social opportunities for members. Graduates of the OT master’s degree program are eligible to take the National Board for Certification in Occupational Therapy certification exam to become registered occupational therapists. The University of New Hampshire Department of Occupational Therapy offers a combined bachelor's degree/master's degree program. The Professional Master’s Degree Program is accredited by the Accreditation Council for Occupational Therapy Education (mailing address: ACOTE, C/o Accreditation Department, American Occupational Therapy Association (AOTA), 4720 Montgomery Lane, Suite 200, Bethesda, MD 20814-3449; telephone: 301-652-6611 X2914; website: www.acoteonline.org. Students must complete the professional master's degree in occupational therapy to be eligible to take the National Board Certification of Occupational Therapists examination, which is required to practice as an occupational therapist. Students may enter as first-year students or transfer within UNH into the BS/MS program during the sophomore year, space permitting in the program. Students interested in transferring into this program should contact the Department of Occupational Therapy for information about transfer requirements and application deadlines. Students begin the BS/MS curriculum with preprofessional courses, which include courses in biological and social sciences as well as occupational therapy. In addition to meeting the University Discovery Program requirements, students take the following courses during the first three years of the program. Volunteer or work experience in a health and human service organization is recommended, although not required. Students should work with their advisor to identify an experiential learning/occupation-based learning course. This is a course that requires cognitive learning that is translated into a motor skill. Many courses can meet this requirement. Students in the BS/MS curriculum with a GPA of 3.0 or higher transition into the professional program during their undergraduate education. The following courses are required. This course also fulfills the writing intensive in major course. At the end of the senior year, students are awarded a bachelor of science degree in occupational science. Students then apply to the Graduate School as advanced-standing students in the professional master's program. An overall minimum grade point of 3.0 is required for admission to the master's degree program, and students must attain a minimum grade of B- in all OT classes, and meet professional behavior expectations. Students must have no more than 8 credits of B- coursework in OT 700-level courses. Please refer to the Graduate Catalog for additional information about the master's program and the final 1.5 years (three semesters) of the professional occupational therapy curriculum including fieldwork requirements. Students entering as first-year undergraduate students have 5.5 academic years (11 semesters) to complete the professional curriculum, including level II fieldwork. They then will be eligible to sit for the certification examination administered by the National Board of Certification of Occupational Therapists (NBCOT). A felony conviction may affect a graduate's ability to complete fieldwork, sit for the NBCOT certification examination, and/or obtain state licensure. Students are responsible for transportation to off-campus practicum and fieldwork locations. Curriculum review and revision is undertaken annually. The department works closely with students during academic advising sessions and shares information about any policy and requirement changes during registration periods as well as throughout the academic year. Students also are expected to take an active role in verifying expectations and should check with their department advisers each September for updated policies and requirements. Program requirements and policies for retention in the major are in the OT Department Policy and Procedure Manual, which is available online.